This just came in from Ven. 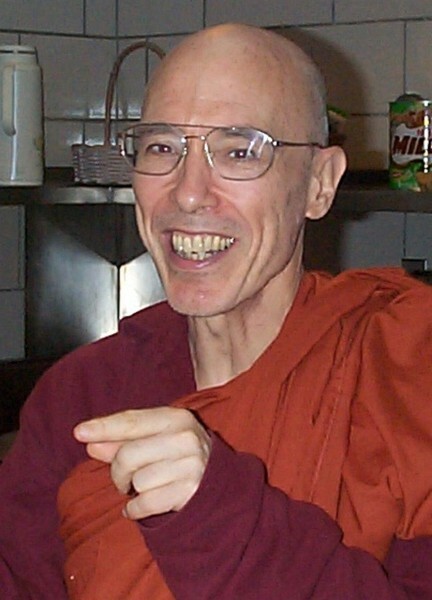 Bhikkhu Bodhi, Buddist Global Relief. Walks are happening in: San Francisco, San Jose, Sacramento, and Los Angles, California; Willington, Connecticut; Tampa Bay, Florida; Ann Arbor, Michigan; St. Louis, Missouri; New York, New York; Houston, Texas; Seattle, Washington; Beanteay Meanchey, Cambodia; Nagpur, India. Today close to a billion people worldwide face hunger as a fact of daily life. Hunger and hunger-related illnesses claim ten million lives each year, half of them children. Hunger of such magnitude is not the result of a shortage of funds or a lack of food, but of a lack of care, a lack of will. In a world where trillions of dollars are spent on weapons and wars, the extent of hunger is a blemish on the soul of humanity. To redeem ourselves, we must learn to see ourselves in others, to recognize our obligation to ensure that all humankind can flourish together. This fall, in different cities around the U.S. and abroad, Buddhist Global Relief will be holding its 4th “Walk to Feed the Hungry.” The walk is a gesture of care and compassion by which we express our commitment to helping our brothers and sisters in need. The purpose of the walk is to raise funds for our many projects that address hunger and malnutrition. Funds raised will support such BGR projects as right livelihood training for girls in Sri Lanka; meals and scholarships for poor kids in Haiti; food scholarships for girls and their families in Cambodia; education and vocational training for kids in Bangladesh; nutritional guidance and micronutrient supplements in Côte d’Ivoire; a tuition center for women and girls in India; urban gardens here in the U.S.; and sustainable agriculture programs in Cambodia, Vietnam, Sri Lanka, Kenya, Ethiopia, Rwanda, Haiti, India, and Malawi. I cordially invite you to join us on this walk. A “Walk to Feed the Hungry” will be held at various locations around the U.S. See our website for information about walks already planned. Please join us, register early, and mobilize members of your congregation, Dharma group, or community to participate as well. By creating a First Giving Fundraising page, you can enable your friends and relatives to share in the merits of the walk by supporting you in this worthy endeavor. If you live too far from any of these places, you can organize a walk of your own or some other event with your friends or community members, such as a day of mindfulness, to raise funds to feed the hungry. Together, let’s show that we cherish the poor and needy of the earth like our own parents, children, brothers, and sisters. I can’t walk but, can we donate? I’m so glad you asked that question. Thank you! Next time I’ll embed that link into their post. Hope you are doing okay today, Deb.